The Top Five Ferraris You Should Buy RIGHT NOW! If you like exotic cars, or even if you don’t, most people have mused of owning a Ferrari at some point in their lives. These same people also don’t realize that if you buy Ferraris smartly, they can be a lot more attainable that most will lead you to believe. So how do you do that? Just like any other asset, cars depreciate. With exotic cars, there is an initial spike in price when they are brand new because everyone wants one and there aren’t many available. Then as time goes on, more come onto the market, people put miles on them, and they become more affordable on the pre-owned market. With many Ferraris specifically, the will depreciate for roughly 10 years, and then begin to appreciate as nice examples become rarer to find. You want to hit the depreciation curve right before it turns upward into the stratosphere that vintage Ferraris now fly at. Here we have compiled a list of five Ferraris in our inventory that you can buy right now, enjoy, and own for nothing or possibly even make money on in the future. The F430 was hailed as one of the best driving cars of its era when it rolled out of Maranello in 2005. These days, it is universally hailed as one of the best bargain sports cars in the current market. 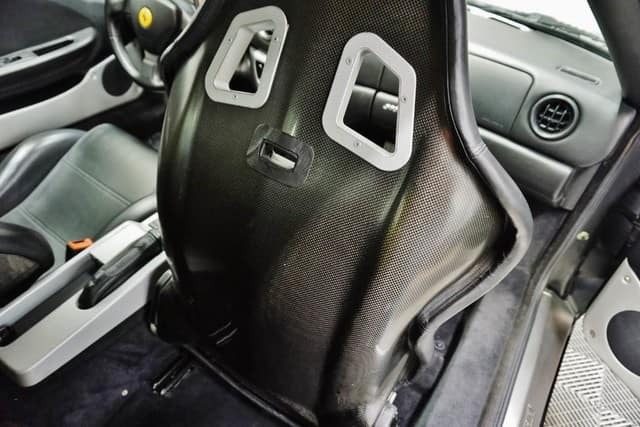 They also combine everything you want from the Ferrari experience with wayyy less headaches than older Ferraris, so it won’t hurt you as much as older Ferraris in the service department. So this is a car that is fun to drive, affordable to run, looks modern, and is reliable. What’s not to love? This 2006 Spider is available with 12k miles for $128,900. The great David E. Davis once said that everyone needs to drive a V12 at least once in their lives, and the Ferrari 612 is one of the most affordable ways to do just that. 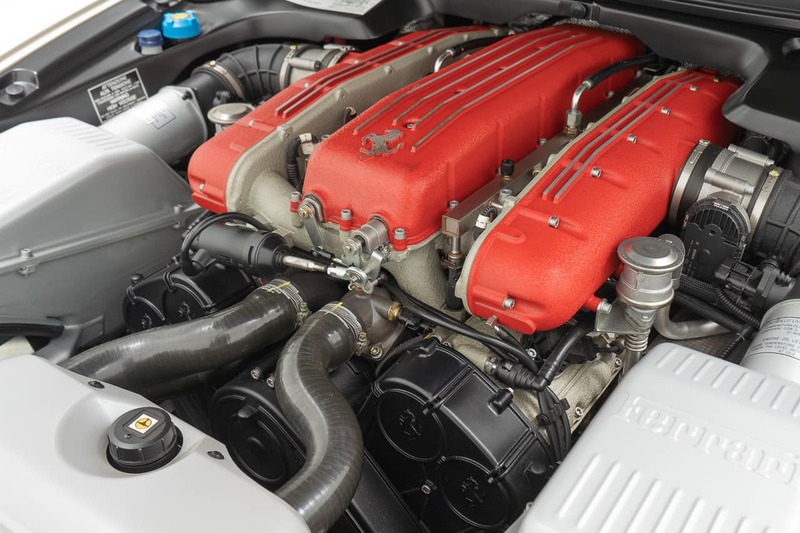 Complete with a 5.7L V12, the 612 produces 533hp and achieves 60 in 4.2 seconds. Even by modern standards, those numbers are nothing to sneer at. Moreover, the 612 has actual room for 4 adults; I’m 6’ tall and I have loads of room in the back of a 612. For $104,900, you would be hard pressed to find a better buy in V12 Ferraris, so this one has its well-deserved place on the list. If ever a single car can be accredited for saving a company, it’s the Ferrari 355. Beloved by journalists, enthusiasts, and owners alike, the F355 is one of the most revered Ferraris of the past 25 years. The car is beautiful, wonderful to drive, perfectly balanced, and sounds incredible. Ahh that sound, this is what sells the F355. Its glorious 3.5 liter, 40-valve V8 is a masterpiece, both in power delivery and the music it produces. Although its 375hp won’t win super car races these days, the driving experience is perfect because the power is usable and fun. 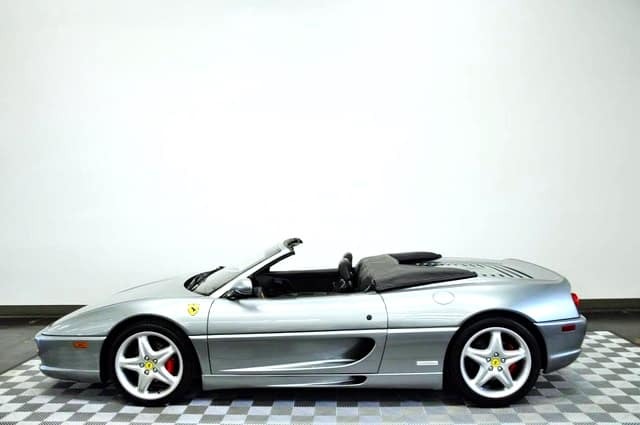 The F355 is a great first Ferrari for now, but in the future we will all wistfully recall the day when an F355, even a Fiorano, was only $108,900. Although the special versions have gone stratospheric on both of these cars, the standard cars have remained attainable. In 1996, Ferrari President Luca di Montezemolo decided that it was time to replace the previous 12 cylinder flagship car, the Testarossa. The new car needed to be front-engined, easy to live with, and usable. Thus the 550 was born and in 2002, the 575 built on that platform upping power to 515hp, introducing the F1 gearbox, revising the front fascia, and revising the suspension geometry. 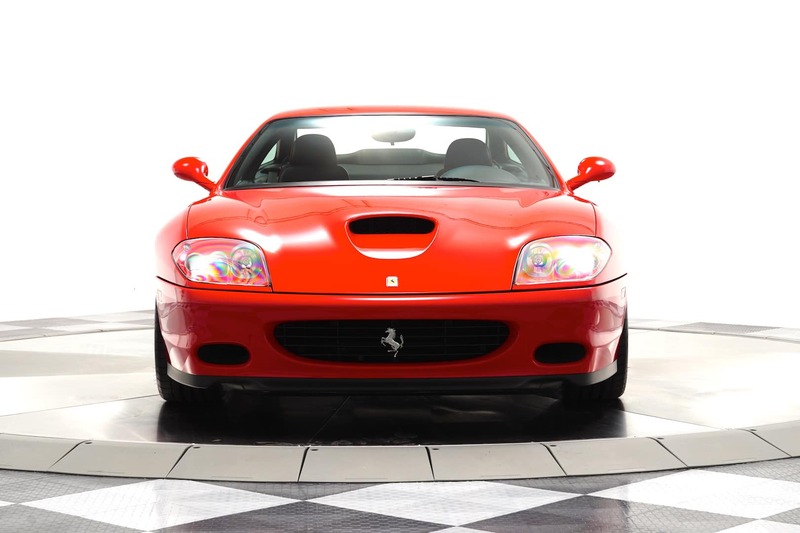 The 575 represents a car that delivers a future classic Ferrari, is affordable to maintain and reliable, and for $129,900, it represents a fantastic value that is likely to hold strong. Everyone wants to know what is the next hot car, what is the next one to appreciate. 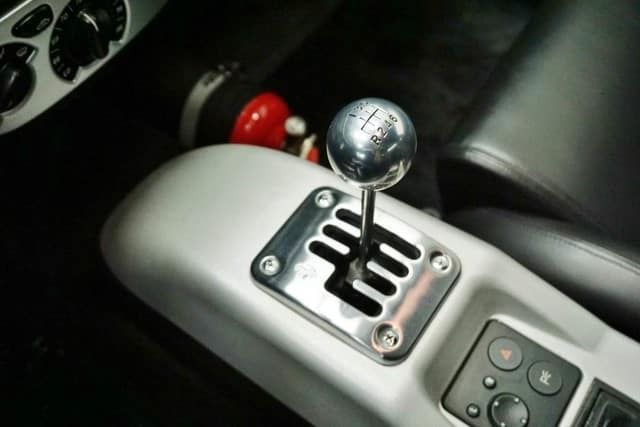 Most experts will agree that anything from the early 2000’s with a manual transmission, especially a gated manual, are prime to become those cars we kick ourselves that we didn’t buy when they were $X. THIS 1999, Nero on Nero 360 has the extremely rare sports seats, fire extinguisher, Challenge Grille, and yes, a gated manual. It is currently priced at $94,900, and you should REALLY hop on this one…right now! This is our list. What do you think? What Ferraris would you choose from our inventory to bring home to your garage in Cleveland? Let us know, and always keep an eye on the site and our social media for Ferraris that belong in your stable! 0 comment(s) so far on The Top Five Ferraris You Should Buy RIGHT NOW!